Large institutions like health care facilities, universities, schools, assisted living facilities, and catering businesses have ever-changing customer demands. 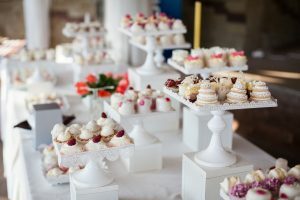 That’s why they depend on Lentz to quickly and conveniently order the specialty bakery products and ingredients that they cannot easily source through their prime food service distributor relationship. Whether you are the head baker buying ingredients for an onsite bakery commissary or a chef looking for high-quality bakery products that fit a specific nutritional or ingredient profile (like non-GMO, non-PHO, organic, all natural, trans-fat free), Lentz is the perfect partner to help you source the ingredients and products you need to support your hospitality program. Our broad bakery-related product line and responsive customer service is backed by an unmatched level of reliability. With our high standards for food safety and nearly perfect fill rate and on-time delivery performance, we simplify the purchasing process for hospitality providers.